It’s the sparkliest day in the roller derby calendar! 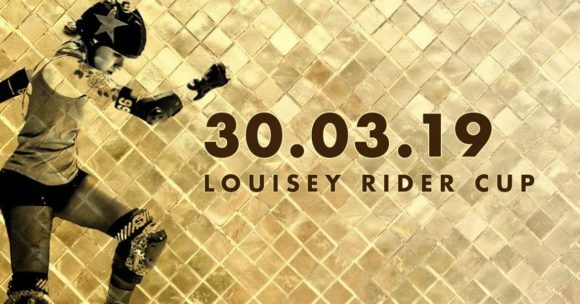 The fourth installment of the Louisey Rider Cup is happening on 30th March 2019. Please see our Facebook event page for updates. Skater tickets are now sold out! Click here to add yourself to the reserve list. Skaters will be contacted via email if a suitable place becomes available. Spectator tickets: Available now! Get them here. What is the Louisey Rider Cup? The LRC celebrates the life of our teammate Louise Wright, aka Louisey Rider #66, who was sadly taken from us in a cycling accident in 2014. If you knew Louise you’ll immediately understand why a day of roller derby followed by a massive party is the best way to remember her, and if you didn’t you’ll experience a day that encapsulates Louise’s spirit. The last three years have raised a total of £11,000 for road safety charity Brake, and we’ll be supporting them again this year, so let’s get past that £15,000 milestone! This event is family friendly so feel free to bring your little ones along. Expect the now infamous Lip Sync Battles, fanny bunting, drinking, dancing and more glitter than you can shake a pineapple at! We’d love to see your posts about the event – use the tag #LRCup19 so we can find you!